I realise I could have written about the demise of British record and video store HMV at any time: when it fell into administration last Christmas, or in 2013, when the rise of online film and music streaming threatened its business model, when record label EMI floated it on the stock market in 2002, and when shops like HMV collapsed – Virgin Megastore, Tower Records, MVC and Woolworths. I love to visit these places to discover something that could spark your thoughts, or change the way you think, and take your own personal copy of it home to own forever - to know this experience is now too expensive to support is, well, rather crushing. 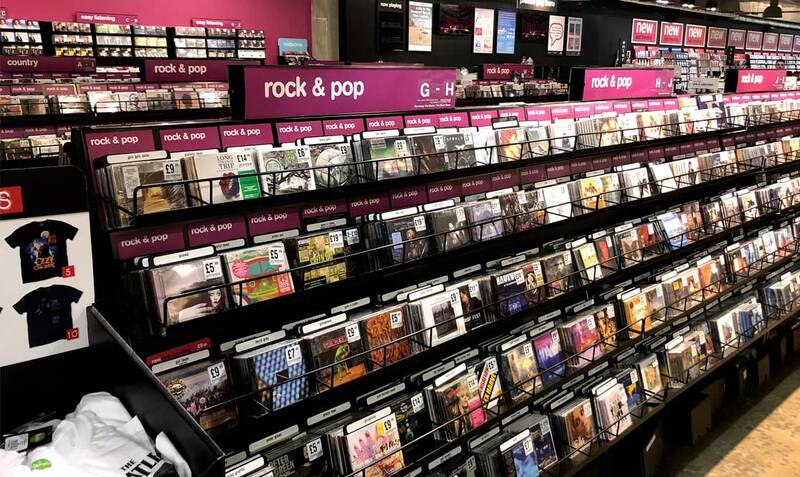 The nearest branch of HMV to me is closing next weekend: from next month, if I want to look in a music shop of any type, I will need to catch a train, not just a bus, to a shopping centre three or four towns away, where the cost of renting a store must be cheaper. 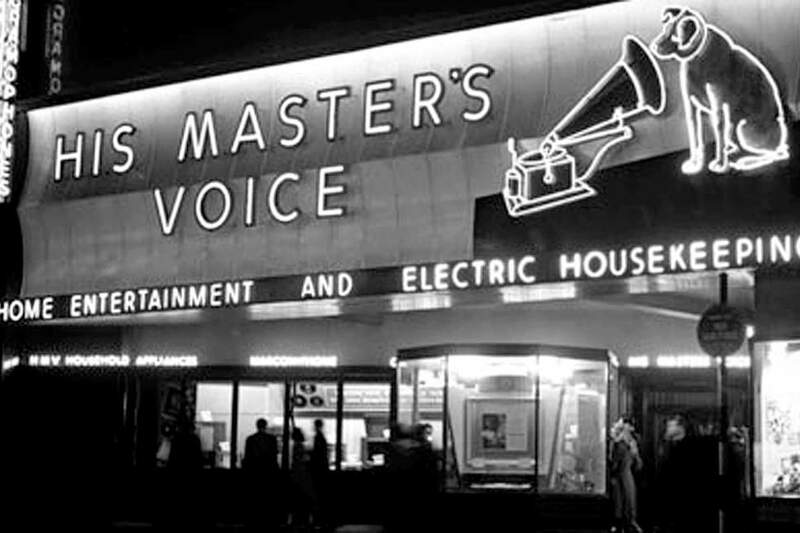 Cutting rent costs have already closed a dozen stores, leaving around a hundred – the famous London Oxford Street store, where HMV first opened in 1921, was not one of these. Rescuing HMV itself from administration, in February 2019, was relatively cheap: the “Financial Times” reported that Canadian record store owner Doug Putman had bought the biggest store chain of its type in the UK, selling more DVDs and Blu-rays than Amazon, for the price of a large house: £883,000. 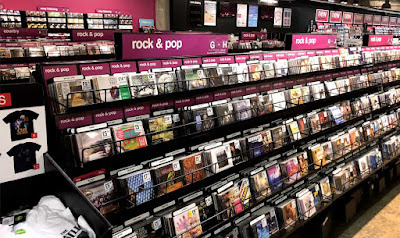 For many people, the physical act of going to a shop to buy a film or album is an act of nostalgia: there are simply cheaper, more convenient and more immediate ways of accessing that sort of material, and in a way that does not force you to become a collector, buying a shelf for the DVDs you’ll watch once, then perhaps another time. It is the collector’s market that HMV is being geared towards from now: Putman’s Canadian store, Sunrise Records, which bought HMV Canada when that collapsed in 2017, puts a focus on vinyl, which has become a more premium (and expensive) product in a collector’s market, just as the Criterion Collection, found across from them, promotes the same curated range for films, presenting films as they were meant to be seen, at a premium price. So, if you like to collect things, consider yourself in a niche category, that is currently only being catered to through the goodwill of labels that still want to go to the expense of producing a physical product. There really isn’t much point to being nostalgic where I had the choice of going to an HMV, Virgin Megastore or Our Price in the same street, if what I was looking for wasn’t found in Woolworths, for this won’t be a situation again, along with the distribution networks that supplied these stores. HMV was once a large group that encompassed bookshops and concert venues, all sold off over time because the safety net of being owned by a record label had gone. The industry is a shadow of what it once was. I should say I have absolutely no point to make here about what can be done to remedy the situation – I needed time to vent, and take stock of what is happening. I used to pick up a copy of the magazine “NME” from HMV, and even that has migrated online. Retail shopping is changing, habits are changing, and my options for something to do on a weekend has changed. 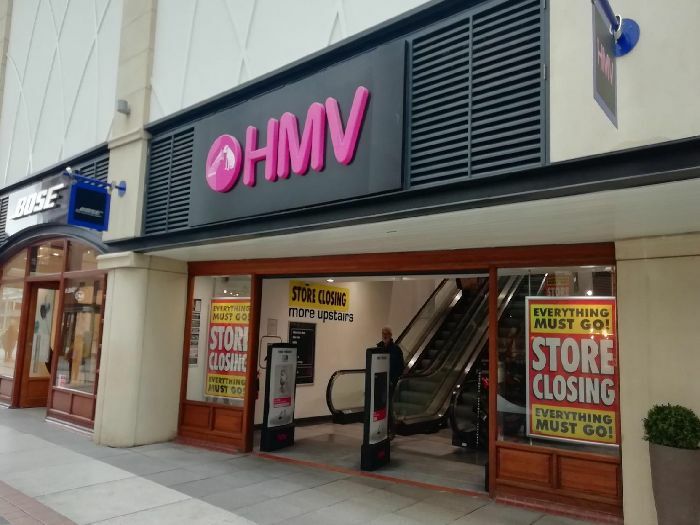 We could be talking about HMV collapsing in another five years from now, once the last person stops looking for their nearest store.